Our Lip Smacking Snack Party Mix is perfect to munch on during your next game night. We also think it goes well with a game we received for review called Speechless. Before we had kids, Brian and I frequently played games with each other as well as getting together with friends and family for game nights. In fact, New Year's Eve became our annual game night party. 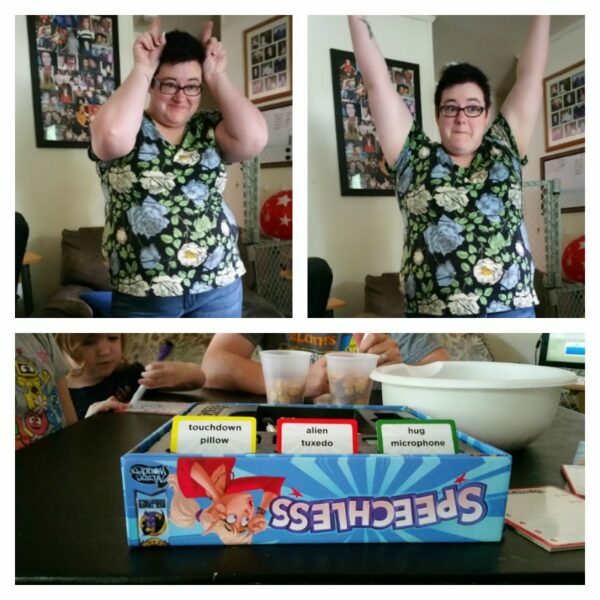 Charades is a classic party game, but it can get loud and chaotic. I like how Speechless by Arcane Wonders takes this classic game and adds a fun twist to it. One person acts out six different words in 90 seconds. Everyone else writes down their guesses on a mini dry erase board rather than shouting out the answers. After 90 seconds is up, all players share their guesses. Those who guess correctly get two points. If two or more people had the same wrong guess, they each get a point. We rotate hosting game nights with a couple friends and can't wait to put their acting and guessing skills to the test with this game! After having our daughter, we attempted a few game nights when she was a baby. I craved socializing with our friends, but it was harder as we adjusted to our new life as parents. Sure, my baby slept a lot, but if we got too loud and rowdy, it would wake her up. Also, I often held her or wore her for naps, but it is hard to insist everyone talk in whispers. Having the option to play a quiet game like Speechless, would have been great! There is still talking, of course, but overall the game is quieter than many other party games. This game is family friendly, but is geared towards older children who can read and write. My kindergartner wanted to play so badly, but it is too difficult for her. However, we modified the rules to allow her to join us in a game. As an emergent reader and writer, it's wonderful for her to practice writing words from the cards as well as attempt to sound them out. She understands how to play Charades, so we allowed her to shout out her answers. However, we didn't let her know if she was right until all words were acted out. Speechless is a game we're glad to add to our collection. You can order (affiliate link) Speechless on Amazon at the end of September. To order now, please visit the Arcane Wonders website or a retail store near you that carries this and other games by Arcane Wonders. Serve this tasty snack mix at your next party! Grease inside of slow cooker. 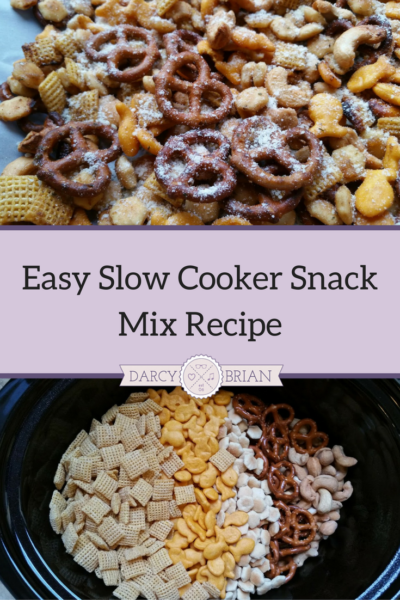 Add 10 cups of assorted pretzels, crackers, cereal, and nuts to slow cooker. Mix melted butter, Worcestershire sauce, ranch mix, and garlic powder together. Pour mixture over party mix and gently mix to coat. Cook on low for 2-3 hours. Mix every 20 minutes or so the first hour, then more frequently as the liquid lessens. Spread out on a baking sheet and sprinkle with grated Parmesan cheese. Let it cool and dry for a few hours. 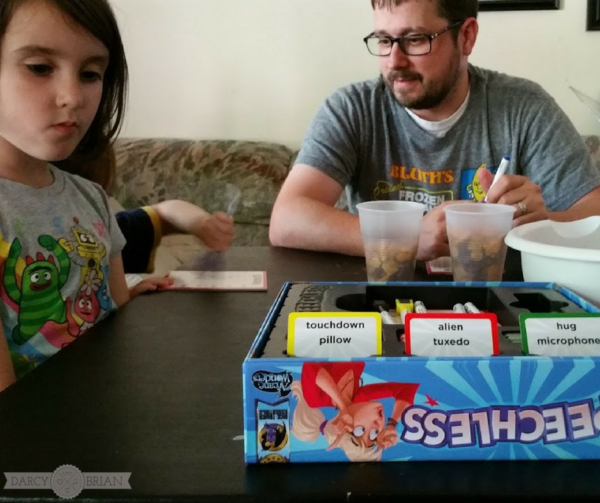 Enter to win the game Speechless from Arcane Wonders. Entrants must be 18+ years old and reside in the U.S. 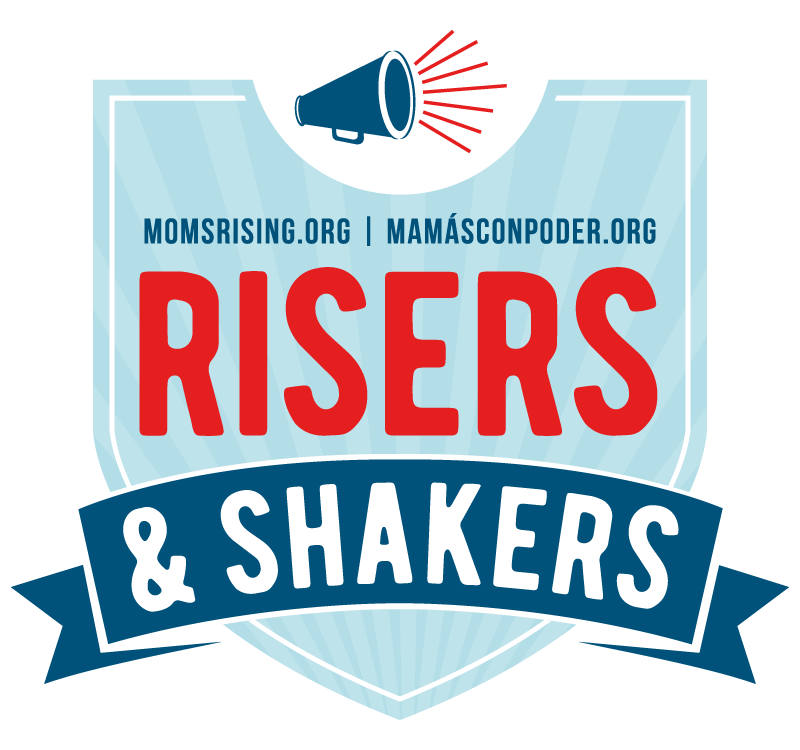 Entries accepted until October 20, 2016 at 11:59PM CT. Winner will be contacted via email and have 48 hours to respond or a new winner may be selected. When our kids were little we played alot now we do have board games everytime we get together. They are sure special nites to remember. We love them alot. I think my favorite part of family game nights are all the laughs. 🙂 Thanks for sharing, Theresa! We don’t have game night often enough. Yours looks so fun! I love the addition of oyster crackers in the recipe. 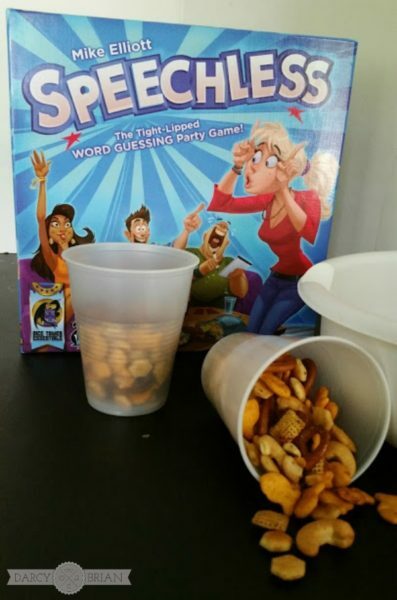 I suddenly want to host a game night and munch on snack mix. I think I’m going to make that happen. So glad you share with us at Merry Monday. I hope you enjoy it, Shirley! As it gets cooler out, game nights are easier for us to plan because we’re not out and about trying to soak up summer weather.